Juggy Murray was a pioneer amongst successful black record company owners. It was not the first one, but his New York-based Sue logo was one of the first and most successful African-American-owned labels in popular music, existing well before later trailblazers such as Motown. He was born in Charleston, South Carolina on November 24, 1923 and raised in Manhattan's 'Hell's Kitchen'. In real estate with not enough work to keep him interested, Juggy Murray decided to change careers at the suggestion of his friend Tommy Smalls, known locally as the legendary deejay, Dr Jive. A short, dapper man with a winning smile and trademark moustache, Murray had always loved music, and felt there was nothing to lose. For someone with no musical background whatsoever, he clocked up an enviable track record and soon discovered that his gamble had paid off handsomely. Not that it didn't take perseverance, hard work and hard cash: "In the music business," Murray said, "every time you like something, you stick your hand in your pocket." He incorporated Sue on January 2nd, 1957, naming the company after his mother and daughter. Murray's wife at the time, legal secretary June Golden, took care of the label's initial artists contracts. The Sue logo, a girl's face showing a small star, was modelled after his daughter, the star resembling a birthmark on her cheek. Starting out at 271 West 125th Street, near the Apollo Theater, he shared an office with deejay Dr Jive and fellow record entrepreneur Tommy Robinson. In 1960, he and his partners split up and Murray moved the operation to his apartment at 725 Riverside Drive. Then he took over George Goldner's old office at 1650 Broadway, eventually moving to what he called The Sue Building at 265 West 54th Street, a couple of doors down from Bell Sound Studio (later The Hit Factory). The latter address was particularly appropriate as Bell Sound was where many Sue recording sessions took place, along with A & R Sound on 48th Street. Don Frye, co-owner with producer Phil Ramone of A & R, personally supervised the building of Juggy Sound Studio at The Sue Building. The consistently tight musicianship on many of the great Sue records was no accident, for Murray saw to it that he booked the cream of New York sidemen whenever possible. Among his favourite players were ex-Count Basie trombonist Benny Powell, bass-player Leonard Gaskin, trumpeter Clark Terry, saxman King Curtis, and keyboard-players Richard Tee and Ernie Hayes. In the early days, Murray did most of the work himself. He found the artists, produced 90% of the records - A Juggy Production became his familiar byline - and when it came to securing airplay, he jumped on planes to Pittsburgh (one of the key record-breaking cities in those days), Cleveland, Detroit, St Louis and Chicago with his hat in one hand and the future of his label in the other. The label scored its first regional hit with the Matadors' 'Vengeance' late in 1957, followed by Bobby Hendricks' national Top 40 hit 'Itchy Twitchy Feeling', with backing from the Coasters. Recordings by the Ray Bryant Combo, Ernestine Anderson and Jimmy McGriff established Sue as a jazz hotbed, but the company's most important releases were in an R&B vein. 1958 marked the release of an early Don Covay single, 'Believe It Or Not', and in 1960, Sue launched the collaboration of Ike & Tina Turner with 'A Fool In Love'. Ike & Tina issued a series of national hits under Murray's hand, among them 'I Idolize You', 'It's Gonna Work Out Fine', 'Poor Fool', 'Tra La La La La' and 'You Shoulda Treated Me Right'. Extending his policy of wearing many hats, Murray even managed the Turners for a period. Other Sue hitmakers included Baby Washington with 'Handful Of Memories', 'That's How Heartaches Are Made', 'Leave Me Alone', 'Only Those In Love' and others, and the Soul Sisters, who scored with 'I Can't Stand It', 'Good Time Tonight' and 'Just A Moment Ago'. Drifters front man Johnny Moore also recorded for the company as a solo artist. Subsidiary labels under the Sue banner were AFO, Symbol, Broadway, Eastern and Crackerjack. AFO (All For One) was a New Orleans-based label created by Harold Battiste and Melvin Lastie, but bankrolled by Murray. The logo's second single, 'I Know' by Barbara George, became a huge hit late in 1961, but after a further handful of releases Murray backed out of the AFO deal and signed George directly to Sue. His biggest hit, Inez Foxx's 1963 Top 10 smash 'Mockingbird', waxed with her guitarist brother Charlie, was issued on Symbol. Other hits by the Foxxes included 'Hi Diddle Diddle', 'Ask Me' and 'Hurt By Love'. After some initial releases on London-American, Murray struck up a deal to license his product in the UK with Island Records' Chris Blackwell, who launched Sue in Britain. Under the watchful eye of label manager, the late Guy Stevens, records such as 'Daddy Rolling Stone' by Derek Martin gained immortal notoriety. A turntable hit, years later the 45 would be cited by George Harrison as one of his favourites of the era. After the initial batch of releases, UK Sue began leasing-in product from other US sources, to the displeasure of Murray, who eventually reverted to his original arrangement with the London label. In 1968 Juggy Murray sold his Sue masters and publishing houses, Saturn and Sagittarius, to United Artists, but kept the label intermittently alive on an independent basis, most notably with Wilbert Harrison, who re-cut his own 'Let's Stick Together' (as 'Let's Work Together'), giving Murray a Top 40 single in 1970. After that, he formed Juggernaut, again with Harrison as one of its artists. Murray then moved out to California and launched Jupiter Records, located in LA's World Oil Building. In 1972, he issued his first solo LP, 'Built for Speed', following it with 'Inside America' and 'Rhythm And Blues'. He recorded under the name of Juggy Murray Jones. He continued to work into the new millennium, producing and promoting up and coming artists. Of Baby Washington, Juggy Murray once said, "I would rather record her than eat." The two worked on some comeback sessions just before he died. Murray was 81 and had been suffering from Parkinson's Disease. A Memorial Celebration arranged by friends took place on February 23 at Babbingtons Restaurant, located at 95th Street and Columbus Avenue in New York. "It was a very warm affair," reported John Broven. "There were about 50 people in attendance. Tom Moulton and I gave eulogies along with other record producers, artists and friends. It was rather touching when I read out Juggy's Sue hits and people cheered and applauded each title." 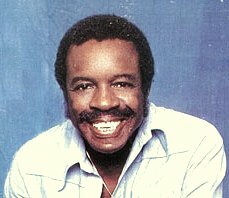 Henry 'Juggy Murray' Jones, record label-owner, producer, songwriter and performer: born November 24th, 1923 - died February 8th, 2005.